There are many people who are not lucky enough for having the house which is completed with backyard. Many modern people have to live in vertical residence because they cannot afford the common home for instance. It is not the only reason why people choose the vertical residence for their living place after all. Many people think that it is more practical for them to live in apartment because they are too busy for working and working. However, having a grounded house with backyard can give so many advantages for people. They will be able to do various things with their backyard. They can build the swimming pool which can be entertainment and physical exercise area in the house. They of course will be able to build the beautiful garden which can be perfect getaway at home. The garden will be filled with beautiful plants with great arrangement, but the garden can be enhanced further by adding the seating area within. If people have the seating area in the garden, it means that they will be able to enjoy the garden closer. People can create the garden with perennial plants so they can get the different feels for different seasons. They can also choose evergreen garden which can be enjoyed the whole year round. No matter what kind of garden which they try to make, people should consider adding the furniture in the garden. Various kinds of furniture can be added into the garden after all. People can place simple chair but they can place the sofa in the garden but of course it will need specific treatment. If people do not want to face complicated method for maintaining the outdoor furniture for their garden, they should consider teak outdoor furniture. 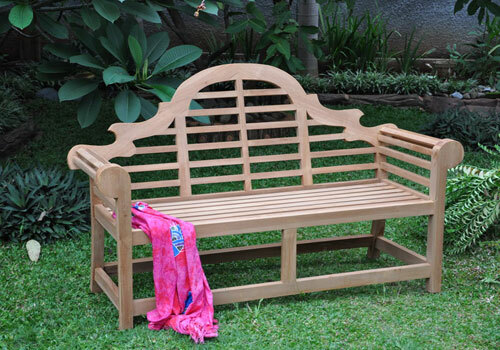 They will make great investment by placing lutyens teak garden bench. Bench sounds like simple furniture which people can add in their garden but they will find very great impact from the teak bench in their garden. 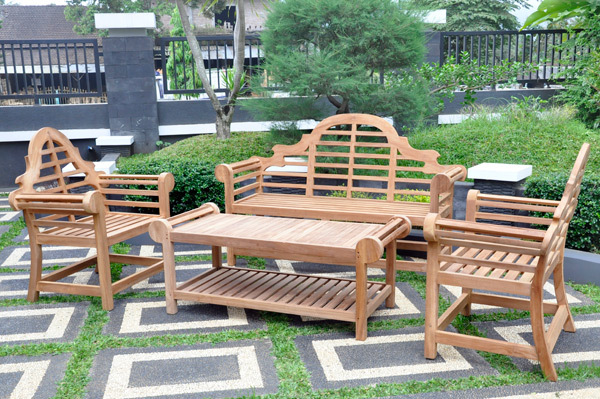 Teak furniture is strong and durable so it will be perfect for the garden furniture. The most important thing is that the teak furniture will have much better look when it gets older. It can be as simple as bench but since it is teak bench, the bench can look more valuable in the garden. Simple design which still keeps the natural look of the teak will be great combination with the beautiful arrangement of the garden after all.